Let’s ring in the mark of the first half of the year with an amazing First Thursday line-up. The Hills Band – We are The Hills. An indie rock band from Cape Town, South Africa. 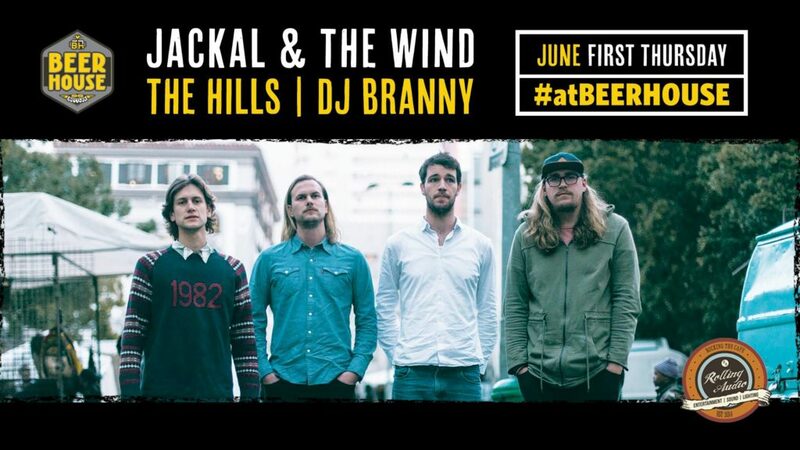 Jackal and the Wind – Jackal and the Wind is an independent band from Stellenbosch, South Africa. The band has been gaining steady acclaim since its inception in 2013. Their signature track, ‘The Ukulele Song’ put them on the map when it gained a cult following among the student demographic with 270 000+ impressions on SoundCloud and top honours on the Digital Forest Live Sessions in the same year. The band’s whimsical name is reminiscent of the yearning of the jackal and the intangible emotion of a howling wind, and pays homage to their wish to whisk their listeners away to a world without boundaries by means of their emotive harmonies. Please check out the Facebook event for updates!